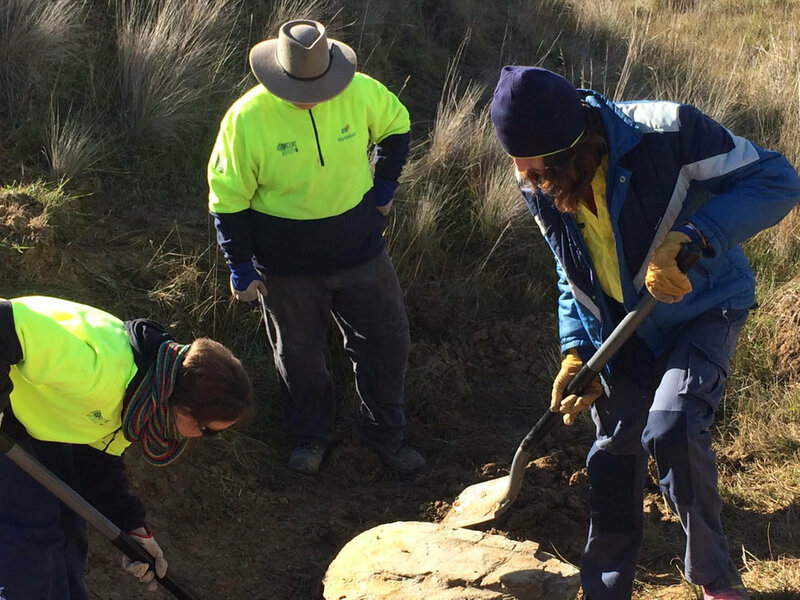 Green Army teams have been working hard to rehabilitate an eroded gully in the Mulloon catchment near Braidwood, NSW. 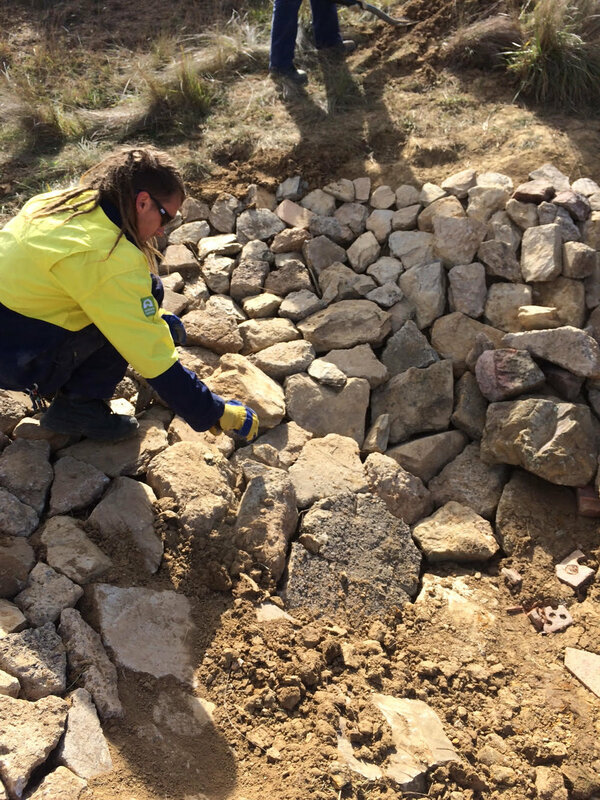 Participants mostly from nearby Canberra, used rock, recycled concrete, soil and vegetation to armour a headcut that’s been working its way up a side tributary. The protective rock structure aims to slow down water flow, retain sediment and enhance the site’s stability and overall productivity for grazing and ecological purposes. 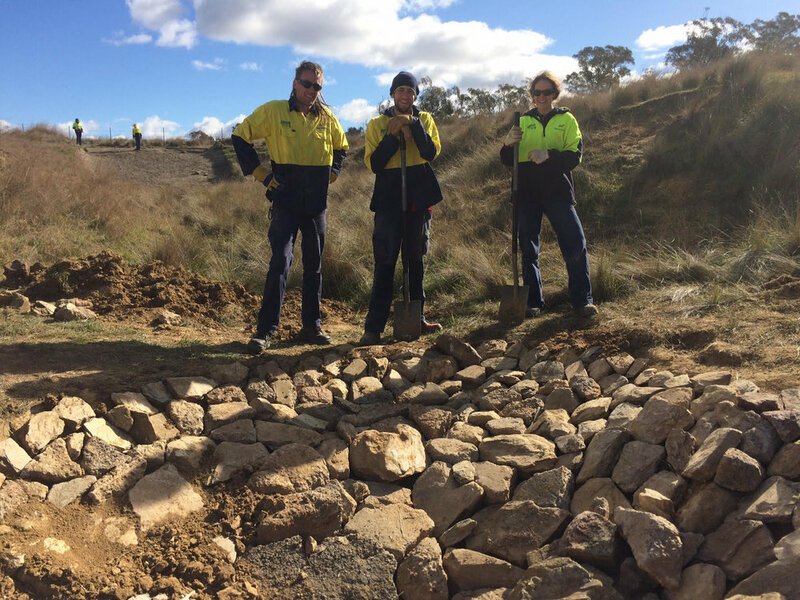 The works form part of the Mulloon Community Landscape Rehydration Project, which spans 23,000 hectares and involves 20 local properties, including Birkenburn where the gully is located. Many partners are involved in the MCLRP including the United Nations Sustainable Development Solutions Network. The MCLRP is one of only five catchment scale projects worldwide helping the UN develop guidelines for sustainable, profitable and productive farming.